Warm Up at Phillip Island finally saw the weather improve drastically, with blues skies and sunshine beating down on the MotoGP™ grid. 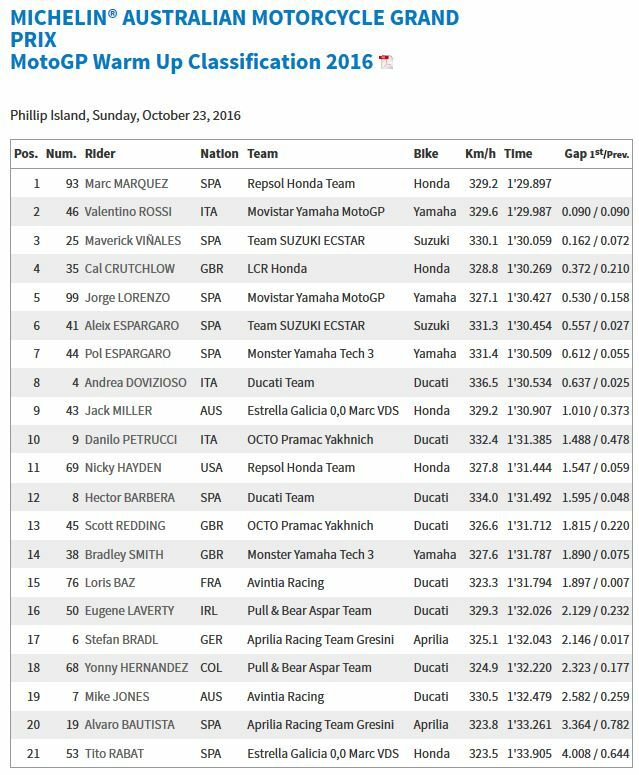 With the first truly dry session of the weekend also extended to allow riders time to work on setup ahead of the race, it was Marc Marquez (Repsol Honda Team) who bettered his own pole position lap from the day before to top the session. 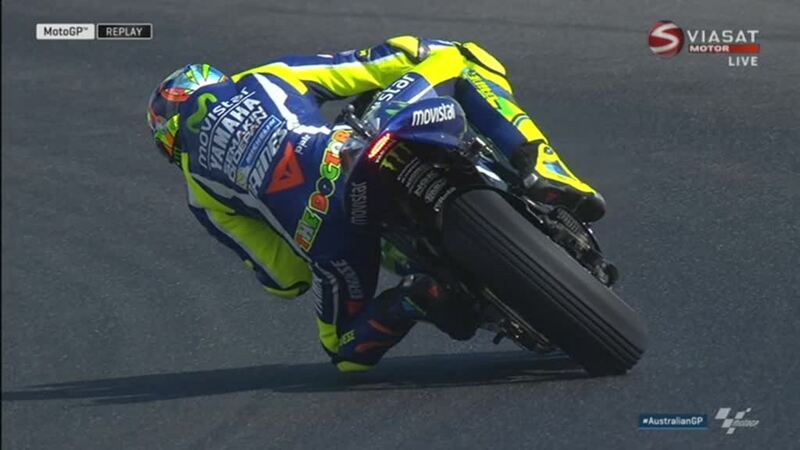 Valentino Rossi (Movistar Yamaha MotoGP) was second quickest and only a tenth off Marquez, with fellow non-top ten starter Maverick Viñales (Team Suzuki Ectsar) third. Front row starter Cal Crutchlow (LCR Honda) was fourth, with Jorge Lorenzo (Movistar Yamaha MotoGP) fifth ahead of his P12 start for the race. Aleix Espargaro (Team Suzuki Ecstar) led brother Pol Espargaro (Monster Yamaha Tech 3), with Andrea Dovizioso (Ducati Team), Jack Miller (Estrella Galicia 0,0 Marc VDS) and Danilo Petrucci (Octo Pramac Yakhnich) completing the top ten. Dani Pedrosa’s injury replacement Nicky Hayden impressed once again on the Repsol Honda in his one off return, in P11.